Hello everyone! Just like before, this post is going to be all about the products I loved this month, but it’ll be a bit more brief than last month’s. 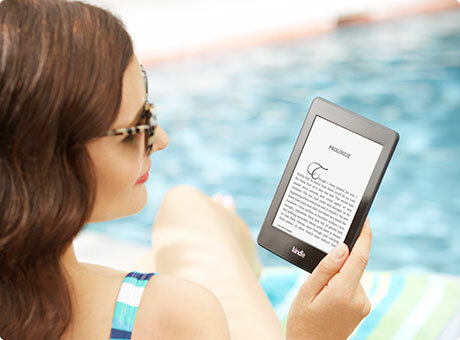 # 1 on my list, the Kindle Paperwhite . If you’d asked me a year ago, whether I’d buy a Kindle, I’d have probably said no, so it’s pretty surprising that this is on my favorites list. I like to read, and up until this past month or so, Kindle apps on my iPad, iPhone, and Mac have been working out well. So why the Paperwhite? Warm weather means my lunch breaks and free time will likely be spent outdoors, and my iPad and laptop don’t like the sun. I bought the Paperwhite without special ads and no 3G, and so far it goes everywhere with me. It’s small enough to take with me wherever I go. It’s light enough so that it doesn’t bother my wrists when holding it for long periods of time. The e-ink took a bit of getting used to. I have to remember it’s not an iPad with Retina display, but overall. I love it. The battery life is fantastic as well. My favorite feature by far though has to be the “Time to Read” feature. I love being able to see how long it will take me to finish reading a book or chapter. I picked up Amazon’s leather case in Fuchsia as well, but the jury’s still out on this one. Don’t get me wrong, it’s a WONDERFUL case. Probably the best quality case I’ve ever owned, but I’m not sure I want the slight added bulk it adds. Then again, I tend to not like using cases anyway so it’s not at all surprising to me. In one of my very first Birchboxes, I received a LipFusion Balm Lip Conditioning Stick by FusionBeauty. Ever since, it’s been my go-to lip product. I’m not one to remember to put lip products on, so my lips end up pretty chapped during the winter. The LipFusion balm is fantastic, but the price tag of $22 for a clear lip balm isn’t. That leads me to Baby Lips. For less than $3, I can get something pretty similar, with a bit of sheer color too. I picked up the Pink Wink shade which is a really light, sheer, pink shade. Turns out it happens to be a limited edition shade. I plan to go get some other shade though. I really love this product. I purchased this on a bit of a whim to replace my 12 year old mattress. I actually got this one on sale for $399 which is pretty darn cheap for a mattress. To be honest, I wasn’t expecting much from this mattress based on the price. I just didn’t want to be rolling into the middle of my sagging mattress anymore. The first few nights on this thing were a bit rough. It seemed too firm. I tossed and turned. It’s not because it was a bad mattress, I just wasn’t used to it. It’s really hard to not fall asleep in it immediately now. Every day I wake up a little more rested, and I’m truly glad I purchased it. The thing that put this mattress on the list was the quickness of how I got rid of the back pain I had from shoveling snow. Silly me decided it would be a great idea for my small self to shovel the driveway, deck, and sidewalks. I followed that up with a 40 minute workout and 10 minute stretch. The next day I felt like I needed a walker to lean on where ever I went. Climbing into bed that night was such an amazing feeling. All the pain I had had all day vanished, and I woke up feeling fantastic. The only downside is that I now have to be mindful of what sheets I buy because most standard sheets aren’t deep enough for it. Philosophy Hope in a Jar Night – I purchased this on a whim. I’ve been using it nearly every night. I’m not entirely sure whether it’s this product or my new day time moisturizer , or this product, but I have noticed that my skin has gotten noticeably clearer over the past month despite not using prescription acne products or my Clarisonic as often. The big plus is that my face isn’t peeling off making me look like a zombie. First Aid Beauty Ultra Repair Cream – Another product I purchased on a whim. I have a few prescription acne products that periodically dry my skin out to the point that it burns. Applying any kind of moisturizer ends up being a terribly painful experience. I got this in hopes it would help, and it did to the point I haven’t really had to use it again since. Viactiv Multi-Vitamin Soft Chews in Milk Chocolate – I’m not a vitamin person. I’ve tried different brands because some actually make me nauseous, and in the end, I never end up taking them like I should. These taste great, they don’t make me sick, and I actually look forward to taking one each morning. As I said, it’s a much shorter list than last month, but I really didn’t have many new favorite products. If any of you were missing yesterday’s post, I had planned to have post on the cats, but I just didn’t get around to it. This week my head’s been a bit frazzled and my mind has been elsewhere. I hope to have it posted by next Wednesday. Did you have any favorite products for March? Have you tried any of these products? I’d love to hear your thoughts.